Today I bring you the third instalment of my half-way round-up of some of the best albums released so far in 2014. So far, this year has been a strong one with a number of albums catching my attention and garnering positive reviews where applicable. Regular readers of this blog will not be surprised to read that this album features in this list. I absolutely adored ‘Weather Systems’ and it finished at the summit of my ‘Best of 2012’ top 20. 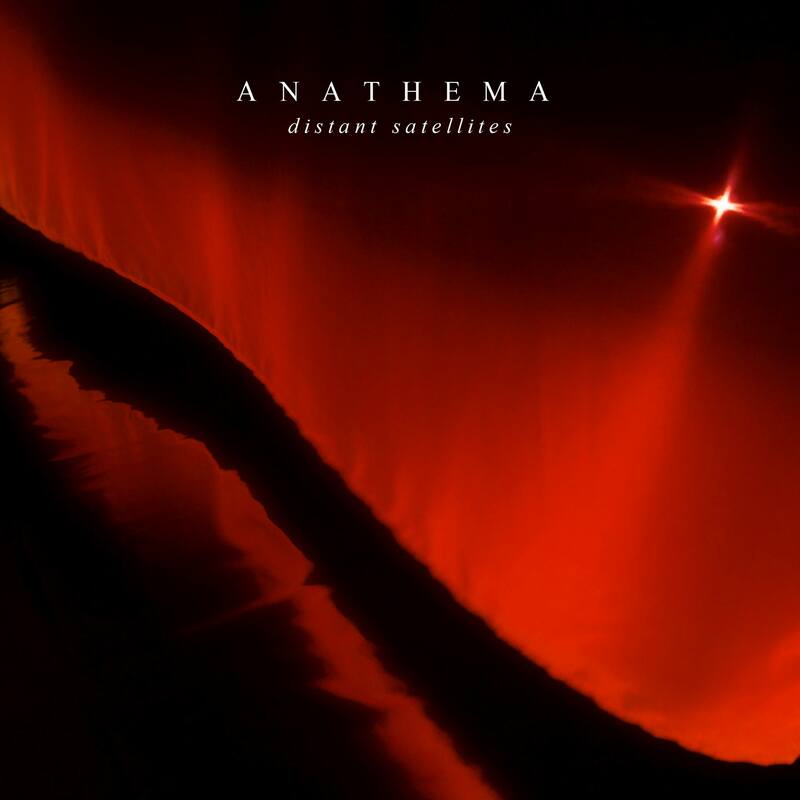 Clearly, based on the quality of the follow-up, ‘distant satellites’, Anathema didn’t feel any pressure. Instead, they have matched the brilliance and come up with yet another magnificent body of work. The aspect of anathema’s music that I enjoy so much is their deep, emotional and thought-provoking lyrical content. ‘distant satellites’ is no different in that respect and there are plenty of occasions throughout the album where I find a tear rolling down my cheek as I listen to Vincent Cavanagh or Lee Douglas pour their heart and soul into the delivery of some heavy and raw subject matters. The lyrics however, would lack their punch and bite if the music that underpinned it was substandard. This is not a problem for Anathema at all. The melodies are sublime, the compositions are, for Anathema, relatively simple and straight-forward but put together with a care and understanding that is beyond most of our capabilities to comprehend. ‘distant satellites’ is, by the Liverpudlian band’s own admission, more stripped back, with fewer layers and less ‘clutter’ if I can call it that. And yet, listening to this record, you’d hardly believe it because the output sounds so rich and full of vibrancy. Much of this has to do with the increased use of orchestration which is a real boon because ‘distant satellites’ feels more majestic as a result. Naturally, much will be made of the closing few tracks which play around with more electronic and ambient sounds and textures. Honestly, these tracks took time to digest and to fully appreciate. With time and effort however, they stand alongside the rest of the album perfectly and are now some of my favourite songs on the album. Put very simply, it will take one hell of an album to knock this off the top spot when it comes to my 2014 top 20 countdown at the end of the year. If you’re just interested in a brief overview at this stage, then read on. German progressive metallers Vanden Plas have been around since the late 1980’s and it is fair to say that every one of their eight releases since their inception have been quality affairs. Of course some will have their favourites amongst the pack but what you cannot say is that any of the back catalogue is substandard. Vanden Plas simply do not do substandard. Over the years, the quintet have become more and more interested and involved with musical theatre and have actually put on shows in their native Germany. Unsurprisingly then, the ostentatiously-titled ‘Chronicles Of The Immortals: Netherworld’ is heavily influenced in this area and, in conjuction with German author Wolfgang Hohlbein, Vanden Plas have created a concept album that is grandiose and theatrical in the extreme. You want big sounds and big songs? Then this is the album you need, trust me. 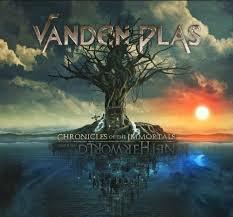 As theatrical and dramatic as ‘Chronicles…’ is, Vanden Plas have not forgotten their musical roots and so the core of the material is still progressive metal with bucket-loads of melody. In fact, what I particularly like about this album, which incidentally, is the first in a two-part series, is the use of recurring melodies and motifs throughout the ten tracks or ‘visions’ as they are referred to here. If you are looking for a lush, grandiose, technical, varied and anthemic listening experience, ‘Chronicles Of The Immortals: Netherworld’ stands head and shoulders above the competition and should be the only choice you need to make. The voice of Swallow The Sun, Mikko Kotamäki is back behind the microphone with yet another band. this time, it is the crushingly heavy Finnish doom metal band Kuolemanlaakso. And it is fair to say that this sophomore release has restored my interest in doom metal after a period where my interest has waned in the sub-genre somewhat. The recipe for this album is apparently quite straight-forward: make the guitar sound as heavy as possible and once that’s sorted, write some of the most crushing mid-tempo riffs possible. That said, a subtle use of keys and Kotamäki’s deviation from an uncompromising growl into cleaner territories both help to provide some measure of atmosphere and accessibility to counterpoint the otherwise suffocating and relentless heaviness. Reference points include Agalloch, Celtic Frost and, to a lesser extent, the aforementioned Swallow The Sun amongst others. sound interesting? You bet it does. What I like most about ‘Tulijoutsen’ however, is the combination of relative simplicity and groove that, if you’re anything like me, will plaster a big fat grin on your face and have you banging your head regardless of whether or not you have hair. 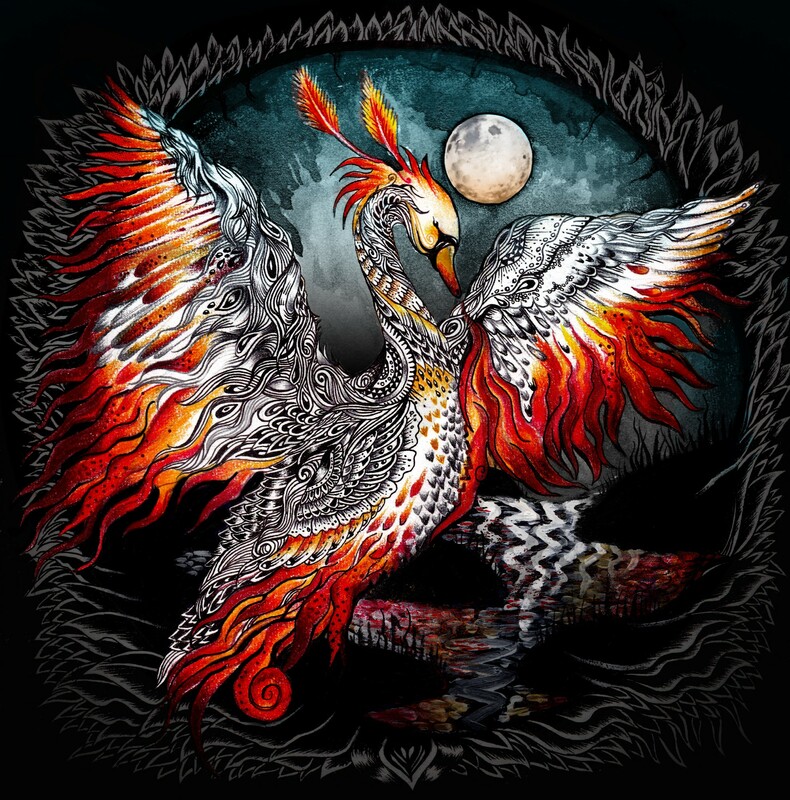 It has been a while since I have been this smitten by a doom metal record but Kuolemanlaakso have produced a fantastic album that should be heard by as many fans of the genre as possible – you’re unlikely to be disappointed.